Post-apocalyptic pixel art at its very best, Death Trash is going to be one of the most promising upcoming pixel art titles. This gritty, gruesome and twisted cyberpunk RPG takes inspiration from classic titles such as Planescape: Torment, seeing the player take the control of both real-time dialogue and real-time combat, both of which can end in death! Boasting a strange array of weird and wonderfully creepy creatures to point your post-apocalyptic weapons at, it is evident that creator Stephen Hövelbrinks has worked tirelessly to produce such an original title. We seriously can’t wait to get our hands on Death Trash, ‘when it’s done’. Brought to you by the very same studio that created ‘This War of Mine’ and the upcoming resource management title, Frost Punk, Children of Morta is 11 bit studio’s latest addition to the pixel art genre. This stunning rogue-lite hack n’ slasher sees the player progress through lush procedurally generated levels, developing your characters and discovering more about the game’s narrative the further you progress. This is yet another huge pixel art title to come from this studio that created both Moonlighter and Beat Cop and is showing massive promise for its release later this year. Sticking with a similar theme, Noita is another upcoming procedurally generated rogue-lite title that shows great promise. While still in its early stages of development, Noita is stated as being ‘a magical action rogue-lite where every pixel is physically simulated’. This is what the developer, Nolla Games, has called pixel-based physics, meaning that every pixel in the world can be destroyed. The player must use their magic to burn, explode and melt their way through the world, creating new spells to find new ways to delve deeper into the procedurally generated world and find new ways of obliterating your enemies. One must be careful, however, as death is permanent. With no release date set, the title looks promising and will be coming to early access when its ready. As if 2017 wasn’t good enough, 2018 is set to be one of the biggest and best years for us indie game fanatics. So with that in mind, we are going to start the year off right, with a game we know very little about, Tunic. From the awesomely talented Andrew Shouldice and published by the guys over at Finji game studies (the legends that brought you ‘Night in the Woods), Tunic looks to be one of the most exciting new adventures of 2018. This Zelda-ish style action adventure is beautifully pixelated and downright adorable. With the cutest little fox protagonist, the player must explore, discover and fight their way through the huge world in which the tiny fox finds itself. Other than the small amount of gameplay footage, there is little else that could be said about Tunic’s gameplay, but we will be sure to keep our finger on the pulse and let you know the features as and when we see them. Sadly with no other release details aside from 2018, Tunic is going to have to be one worth keeping a keen eye on. Happy New Year from Indieventure!! Hope you’ve all had a fantastic Christmas holiday and have enjoyed treasured time with you video games! Apologies for the lack of activity recently, we have been enjoying some well needed rest and recuperation, ready to hit the ground running in 2018. We have a whole lot planned! We hope everyone enjoys their upcoming new years celebrations and we look forward to working with you all in the new year. Having spotted the Kickstarter campaign, Digby is a Wizard is the first comic that we have managed to get our hands on from the awesomely talented Joe Latham, founder of Lookhappydesign.com. 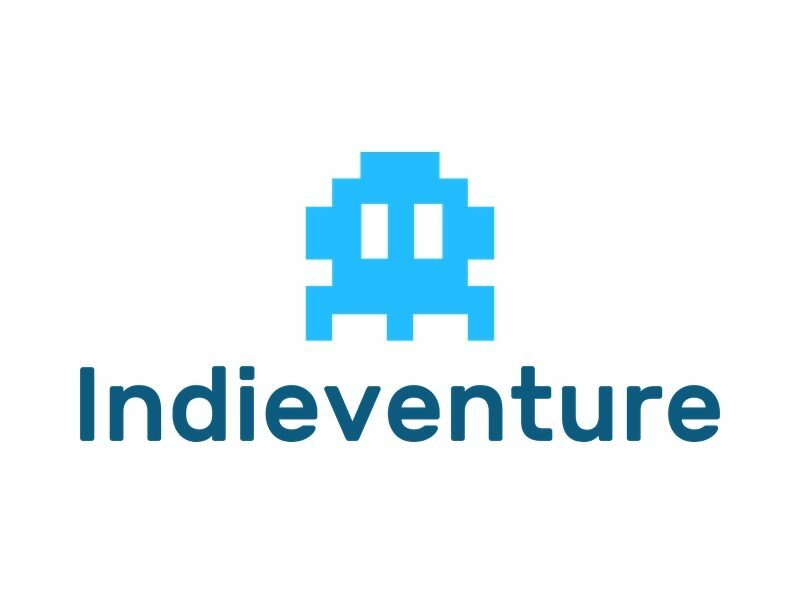 It so happens that it was one of the first projects we backed as Indieventure, making it quiet a momentous backing, we couldn’t wait to get our hands on our digital copy. It certainly did not disappoint. Digby is a Wizard tells the story of a wizard with big dreams who experiences some rather odd and unfortunate events while on a quest to a job interview. The art style invites you straight in, the small 6 drawings per page make the comic an effortless read that you will almost certainly not put down until you finish it. The wording is simple, as the art is more than expressive enough. Having briefly sampled some of Joe’s other works, The Fox in particular, it is evident that Joe does not need words to portray a story, his art style expresses all that needs to be expressed in order to engage the readers emotion. Having said that, the wording in Digby is both hilarious and heart wrenching at times. The clever one liners progress the story at a perfect pace. The story will leave you laughing, crying and asking questions of yourself, and for me at least, encouraged self reflection. It touches on the difficult subject of depression and the importance of understanding your support system, that your friends and family are there to support you, just as Digbys are there to support him. Having read Digby is a Wizard I found that Joe has published 3 other comics, The Fox, The Wolf and The Woodsman as well as a graphic novel Loosing Sleep, a collaboration with the equally talented Bristol based creator Luke Hyde. All of which are available on his website Lookhappydesign.com. We will definitely be checking these out! Please also check out lukehyde.co.uk for his awesome works, and to show your support for independent artists and comic makers.